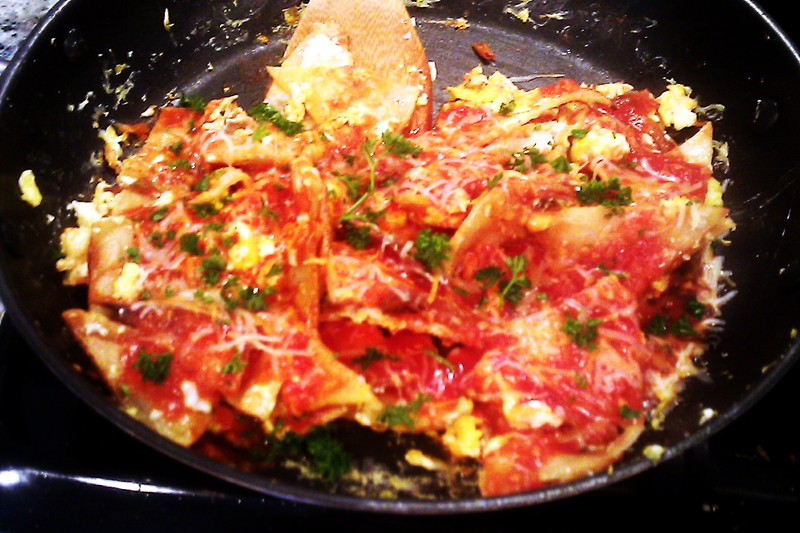 Chilaquiles is a traditional Mexican dish commonly served for breakfast or brunch. It’s made with fresh fried tortilla triangles or strips topped with a red (rojo) or green (verde) salsa and sometimes mole depending on the region. Chilaquiles is made several ways. Some recipes add beans, onions and even pulled chicken or pork. The dish is typically topped with cheese such as queso fresco or crema Mexicana. In a medium saucepan, heat 1 teaspoon oil to medium heat. Add the salsa and 1 tablespoon water and cook 4 minutes. Remove from heat and cover to keep warm. In a large skillet, heat 1/4 cup oil to high heat. 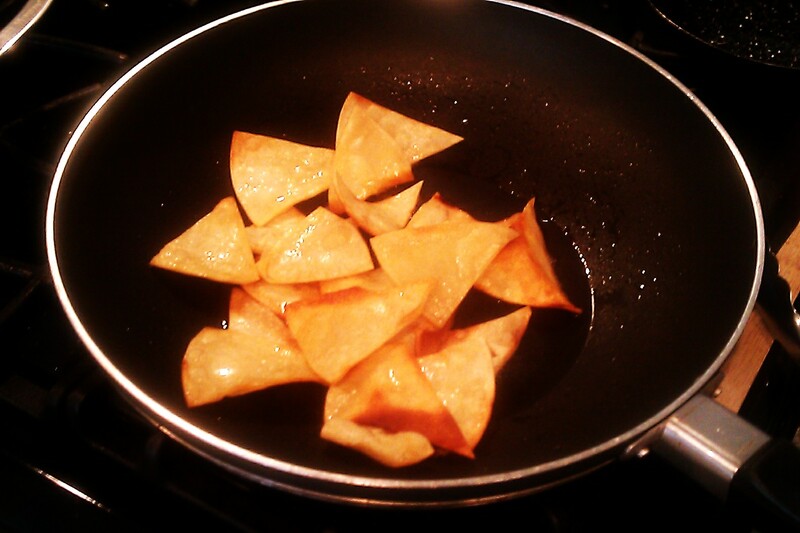 Add half the tortilla triangles and fry until crisp and golden. Remove with a slotted spoon into another large skillet. Heat this second skillet to low. 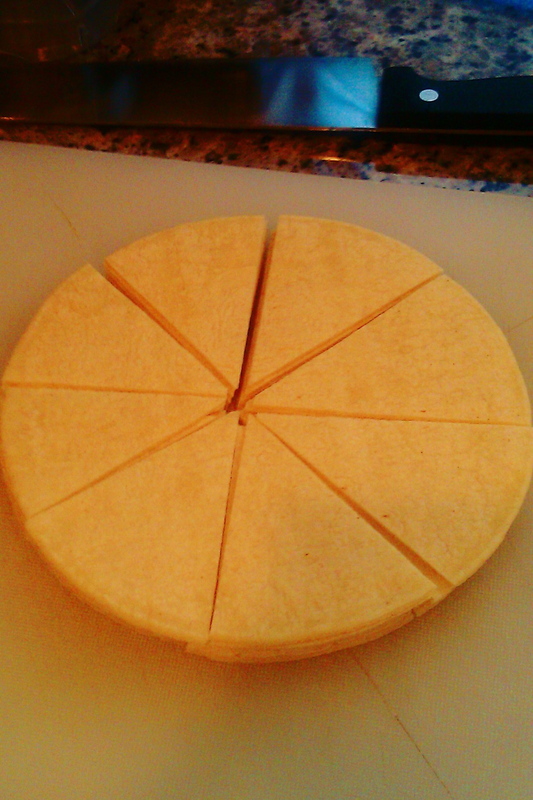 Fry the remaining tortilla triangles. 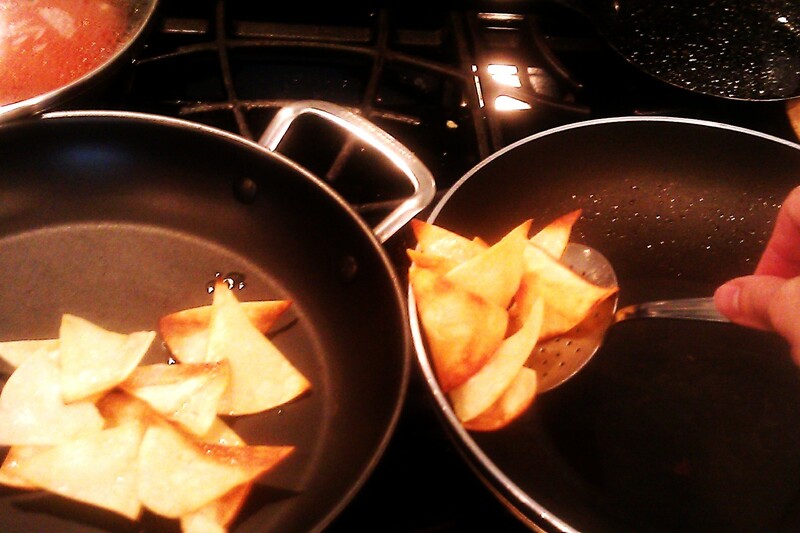 NOTE: Second batch will crisp a lot faster than the first batch. Do not burn the tortillas. To the second large skillet increase heat to medium-high and quickly add all 4 eggs. Gently scramble the eggs among the tortillas until cooked. Pour the warm salsa over the tortillas and top with cheese and parsley or cilantro and serve. I love chilaquiles, they’re one of my favorite things to order at Mexican restaurants, these look like great a great homemade version! Thanks, fun and easy to make! I just saw this being prepared on a TV show. I’ve been to Mexico many times but have never had this dish. Now that you mention it I don’t think I’ve ever had this dish either. I posted on my FB timeline that all I had in the fridge was eggs and tortillas and a friend suggested chilaquiles. So I had to make it. Mexican breakfast dishes are one of our favourites, I’m going to have to give this a try soon.